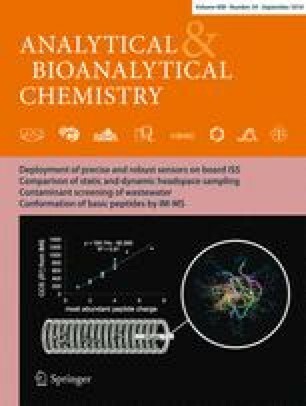 We have investigated the capability of nanoparticle-assisted laser desorption ionization mass spectrometry (NP-LDI MS), matrix-assisted laser desorption ionization (MALDI) MS, and gas cluster ion beam secondary ion mass spectrometry (GCIB SIMS) to provide maximum information available in lipid analysis and imaging of mouse brain tissue. The use of Au nanoparticles deposited as a matrix for NP-LDI MS is compared to MALDI and SIMS analysis of mouse brain tissue and allows selective detection and imaging of groups of lipid molecular ion species localizing in the white matter differently from those observed using conventional MALDI with improved imaging potential. We demonstrate that high-energy (40 keV) GCIB SIMS can act as a semi-soft ionization method to extend the useful mass range of SIMS imaging to analyze and image intact lipids in biological samples, closing the gap between conventional SIMS and MALDI techniques. The GCIB SIMS allowed the detection of more intact lipid compounds in the mouse brain compared to MALDI with regular organic matrices. The 40 keV GCIB SIMS also produced peaks observed in the NP-LDI analysis, and these peaks were strongly enhanced in intensity by exposure of the sample to trifluororacetic acid (TFA) vapor prior to analysis. These MS techniques for imaging of different types of lipids create a potential overlap and cross point that can enhance the information for imaging lipids in biological tissue sections. The online version of this article (doi: 10.1007/s00216-016-9812-5) contains supplementary material, which is available to authorized users. Lipids are one of the most abundant biomolecules in the brain with almost 60 % of the brain’s dry weight consisting of lipids. Lipids have a variety of biological functions and are the main constituents of cell membranes. In addition, they function as secondary messengers for cellular signal transduction across biological membranes, and they are involved in anchoring proteins within the plasma membrane. Cholesterol, sphingolipids (sphingomyelin, cerebrosides, sulfatides, gangliosides), and glycerophospholipids (phosphatidycholine, phosphatidylethanolamine, phosphatidylinositols) are three major categories of lipid compounds in the brain. The significant role of lipids in cell signaling and tissue physiology has been revealed by several studies on neurological disorders such as Alzheimer’s, Parkinson’s, Niemann-Pick, and multiple sclerosis which all show associated lipid alteration in the central nervous system [1, 2, 3]. Matrix-assisted laser desorption ionization (MALDI) and secondary ion mass spectrometry (SIMS) are two of the most widely used mass spectrometric imaging (MSI) techniques allowing direct probing of the distribution and composition of various lipid compounds in biological samples in a non-targeted and label-free manner [4, 5]. For instance, biochemical images of lipid distributions in single cells have been obtained using SIMS [6, 7], and both SIMS and MALDI are capable of showing the distribution of lipids in tissue [8, 9, 10]. MALDI has been primarily applied for analyzing intact lipids and higher mass compounds including proteins in biological samples [11, 12]. In MALDI, the sample is coated with a layer of organic matrix, which directly absorbs the laser energy and is ejected carrying the analyte molecules. The matrix removes energy from the analyte, reducing fragmentation. Predominantly intact analyte compounds are therefore produced by this soft ionization. Several methods of matrix deposition for MALDI imaging are commonly used including automated spraying (wet matrix deposition provides good extraction) and sublimation (produces small matrix crystals) [9, 13, 14]. These methods provide good ionization of the analyte while avoiding large crystal formation that can limit the spatial resolution with some wet matrix deposition techniques . In addition, many organic matrices are only suitable for detection of larger molecules often with m/z >400 due to the interfering mass peaks derived from the organic matrix below this mass range . Hence, detection of low mass ions by MALDI can be difficult. Low mass specific matrices such as carbon nanotubes , graphite, ionic liquids , and some high mass molecules  or use of matrix additives are capable of reducing background peaks in the low m/z region [20, 21]. Laser desorption ionization (LDI)  has recently enjoyed a resurgence by using nanostructured surfaces such as porous silicon as a support for chemical detection. Ionization and desorption of the sample are induced by UV laser irradiation of the surface called desorption-ionization on silicon (DIOS) mass spectrometry . Nanoparticle-assisted LDI (NP-LDI) has been used as an alternative to the organic matrix for analyzing and imaging biomolecules such as fatty acids in tissue improving the ability to detect low mass species and produce less complex mass spectra compared with the standard organic matrices [23, 24, 25]. SIMS has been used to identify and localize different lipid species [26, 27]. The SIMS method has the ability to map chemical compounds with higher lateral resolution compared to the other MSI techniques. An advantage of SIMS imaging is that there is no specific sample pretreatment needed. However, extensive fragmentation of molecular species is a disadvantage that makes SIMS best suited for detection of low mass species m/z <1000. Gas cluster ion beams (GCIBs) are a relatively new primary ion source for SIMS  and have emerged as a potential tool to improve the detection limit of SIMS for analyzing intact lipids compared to the conventional cluster (Bi3 +) and even polyatomic primary ion beams (C60 +) [29, 30, 31]. There are benefits suggested for argon cluster SIMS of organic samples such as high sputter yield, higher yield for high mass secondary ions, and less subsurface chemical damage compared to conventional primary ion sources. It has been recognized that Ar cluster primary ions may lead to a softer ejection process so that higher mass molecular ions can be desorbed intact from the surface . Recently, a continuous high-energy Ar cluster ion beam (40 keV Ar4000 +) has been used to investigate the potential benefits for lipid analysis and imaging in fly and mouse brains [32, 33]. Conventional SIMS is a hard ionization technique making it difficult to image the intact molecular ions of lipids. In contrast, MALDI and NP-LDI have been used to identify and image lipid molecular ions in biological tissues. Gold nanoparticles have been used in lipid molecular ion imaging and compared with the 2,5-dihydroxybenzoic acid (DHB) matrix using MALDI-ion mobility in which gold nanoparticles allowed detection of different peaks compared to DHB MALDI . This motivates us to investigate and compare conventional MALDI and NP-LDI to the newly developed high-energy gas cluster primary ion SIMS to image intact lipids. In this paper, we examine and compare the newly developed high-energy Ar cluster SIMS to both NP-LDI and MALDI for the detection of intact lipids and imaging in mouse brain sections. In order to demonstrate the complementary analysis in the MSI, lipid molecular ions detected by our optimized gold NP-LDI  and conventional MALDI have been assigned and compared to those from the 40 keV gas cluster ion beam secondary ion mass spectrometry (GCIB SIMS). The combined approach extends the number of lipid species detected by mass spectrometry imaging techniques in mouse brain samples. Moreover, we demonstrated the possibility of Ar GCIB in focusing to sub-5 μm providing the ability to detect the extended number of molecular lipid species and maximize the information obtained from lipids with higher spatial resolution than conventional MALDI and nanoparticle-assisted laser desorption ionization mass spectrometry (NP-LDI MS). We show that the 40 keV GCIB helps to maximize the information obtained from lipid imaging and is beneficial for high spatial resolution imaging of lipid pseudo-molecular ions in mouse brain. Frozen mouse brain tissue was cryo-sectioned (Cryostat Leica CM1520) at −20 °C and sagittal brain slices with 12 μm thickness were thaw mounted on indium tin oxide (ITO)-coated glass microscope slides. Slides were placed on a cooled (approximately −20 °C) stainless steel holder in a vacuum desiccator and gradually brought to the room temperature under vacuum for approximately 1 h. Tissue sections were modified with Au nanoparticles using an airbrush for NP-LDI analysis. The 10-nm citrate-capped gold nanoparticles (prepared using the citrate reduction method described by Kimling et al. ) suspended in ethanol at 0.6 mg/mL concentration were sprayed at a distance of 15 cm from the tissue to avoid wetting the sample . The same Au NP-modified section was analyzed sequentially by GCIB SIMS and NP-LDI (Fig. 1). Different tissues were used for positive and negative ion modes. For MALDI experiments, serial tissue sections from the same brain were collected and DHB (Sigma-Aldrich, Stockholm, Sweden) matrix was applied by sublimation according to the procedure described in our previous study . Briefly, DHB was sublimed at temperature 145 °C under pressure set to 0.8 mbar for total time 10 min. SIMS imaging was carried out using the J105—3D Chemical Imager (Ionoptika Ltd, Southampton, UK) equipped with a 40 keV gas cluster ion beam producing Ar4000 + (8 % CO2 in Ar). The continuous stream of secondary ions that are generated are pulsed into a quadratic field reflectron time-of-flight analyzer using a linear buncher decoupling the MS from the ion generation process [38, 39]. A sample of 1200 × 1200 μm2 area was analyzed in positive ion mode with a 20-μm beam step (pixel size) and a primary ion fluence of 1.05 × 1012 ions/cm2. An Ultraflextreme MALDI ToF/ToF mass spectrometer (Bruker Daltonics, Bremen, Germany) instrument was used for NP-LDI and MALDI analysis. Imaging data were acquired by summing 500 shots per array position (pixel) at the laser repetition rate of 1000 Hz. Both NP-LDI and MALDI imaging were performed in positive ion mode with 20-μm laser step intervals (pixel size). Profiling of Au NP-modified brain tissue using NP-LDI was carried out in negative ion mode and also for investigation of trifluororacetic acid (TFA) sample modification with NP-LDI. Mass spectra for profiling were obtained by summing up 1000 shots at a laser repetition rate of 1000 Hz per spot. TFA modification of the sample was carried as previously described . Briefly, the tissue slide was placed at 1-cm distance from a glass petri dish containing 300 μL of TFA solution 99 % in a sealed desiccator. The tissue was exposed for 30 min at room temperature. We compare NP-LDI, MALDI, and GCIB SIMS to investigate some of the diverse lipid classes present in regions of mouse brain tissue. Studying lipids with these MSI techniques provides complementary spectral and distributional information of intact lipids in the mouse brain, which can maximize the available information when tackling biological questions. A sample section coated with 10-nm Au nanoparticles was used (a scanning electron microscopy image confirming the homogeneity of nanoparticle coverage is shown in the Electronic Supplementary Material (ESM) Fig. S1) for both SIMS and LDI analysis. SIMS does not normally need any sample surface modification, although several studies have reported increased secondary ion signals when using matrix-enhanced SIMS (ME-SIMS) and metal-assisted SIMS (MA-SIMS) [41, 42, 43]. Previously, we showed that nanoparticle modification is compatible with SIMS analysis on a standard POPC lipid compound sample . Mouse brain sections, however, contain a variety of lipid species. Nanoparticle-free brain, as a control, and nanoparticle-modified brain sections were analyzed by SIMS using the Ar4000 + GCIB, and the spectra were compared to investigate the compatibility of this sample preparation with SIMS. The spectra of control and nanoparticle-modified brains are similar, although there is a moderate enhancement (twofold) in the secondary ion yield in the modified brain. The result demonstrates that nanoparticle modification is therefore compatible with SIMS analysis and does not induce any observable lipid chemical change in the m/z 700–900 range for the mouse brain sample (ESM Fig. S2). Likewise, Ar cluster SIMS analysis prior to the NP-LDI experiment does not make a difference in the detected peaks using NP-LDI (ESM Fig. S3). Nanoparticle modification is an alternative to the organic matrix normally used in MALDI [24, 34, 44]. Using the nanoparticles eliminates background in the low mass range that can arise from the organic matrix in MALDI. Furthermore, the same Au nanoparticle-modified mouse brain section can be analyzed with both Ar cluster SIMS and NP-LDI techniques to obtain reliable comparisons and complementary lipid information. To compare to the MALDI technique where organic matrices are used, we analyzed a subsequent tissue slice from the same mouse brain with sublimed DHB matrix and MALDI. Sublimation was chosen as the matrix application method as the small crystals formed are more comparable with the NP addition, and one of the overall goals of MALDI is to push the spatial resolution to the sub-cellular scale (even though a 20-μm pixel size was selected for this study). Furthermore, advantages of MALDI matrix sublimation over the spraying methods such as increased signal, minimized lateral diffusion of lipids, and generation of a uniform thin layer of matrix have been shown by Robert Murphy, particularly for imaging of lipids in tissue slices . The Caprioli group has also demonstrated improvements in spatial resolution in MALDI MS imaging employing transmission geometry laser optics, and in this case sublimation of matrix was also used . Intact lipids in the mass range m/z 700–900 were discretely imaged in white and gray matter areas of the brain sample with three approaches; MALDI, NP-LDI, and SIMS. For NP-LDI and SIMS, these were done on the same sample in the two instruments sequentially. Spectra in the mass range m/z 150–900 from both gray and white matter are presented in ESM Fig. S4. Although SIMS is usually considered a harder ionization technique producing low mass lipid fragments, comparison of the intact lipid region of the mass spectra of the high-energy cluster SIMS and MALDI (Fig. 2a versus b) demonstrates that improved ion yields for high mass molecular species (intact lipid ions) are obtained with the cluster SIMS. High mass intact lipid peaks similar to MALDI are obtained, and furthermore, the GCIB SIMS shows additional peaks compared to MALDI when considering the intact lipid mass spectra in both gray and white matter regions of brain. NP-LDI analysis clearly results in different peaks from the similar brain section analyzed by DHB MALDI analysis, a phenomenon that was also observed previously [34, 37, 47, 48]. However, in Fig. 2c, it is clear that the molecular ion peaks obtained using NP-LDI originate from lipid compounds localized specifically in the white matter, and there are no peaks detected from the gray matter area. Peaks acquired by NP-LDI are observed in the GCIB SIMS mass spectra analyzed from the same sample section. For the mouse brain samples, GCIB SIMS can be used to analyze and identify the combination of ion peaks detected by MALDI and NP-LDI indicating the potential of this approach as a promising technique for imaging larger and intact lipid species in the brain. Assignment of the peaks, based on the literature and online databases, reveals that 40 keV GCIB SIMS and MALDI mass spectra are dominated by strong peaks from lipids phosphatidylcholine (PC) (the base peak in the presented spectra corresponds to POPC, [M + K]+, m/z 798.54), in contrast to NP-LDI, which mainly produces signals from lipids with m/z >800 such as galactosylceramide and sphingomyelin species and does not produce an intact POPC signal. The NP-LDI result is consistent with our previous work in that NP-LDI analysis on POPC standard lipid does not show the intact molecular peak for POPC but instead its fragments are detected (m/z 184.07 (C5H15NPO4) and m/z 86.09 (C5H12N)) . In NP-LDI analysis of the brain, it appears that POPC (and probably other intact PCs) is strongly fragmented by the laser with nanoparticles and thus its molecular ion and most PCs with m/z <800 do not appear in the NP-LDI mass spectrum. Therefore, NP-LDI might be a suitable method for selective analysis of lipid species in the brain, particularly for those lipids distributing in the white matter area. This especially includes lipids such as cerebroside and sphingomyelin (with m/z above 800), which are usually covered by the cholesterol in the white matter and can hardly be detected in SIMS. The different ionization processes that occur when using MALDI with an organic matrix versus NP-LDI might be used to explain the diverse peaks detected and different mass spectra. The organic matrix is a low volatility chemical that absorbs energy from the laser radiation and indirectly couples the energy to the analyte co-crystallized with the matrix. In NP-LDI, the mechanism for analyte ionization/desorption is a thermally driven process. In this mechanism, the excitation of gold nanoparticles can produce heat due to the interactions between electrons in the particles and laser irradiation. The resulting heat is then transferred to the analytes. In complex biological sample matrices, the thermal propagation to different molecules is different, and therefore the ionization efficiency is different. This results in different signal responses of biomolecules and the various mass spectra obtained from different samples. The complete fragmentation of the PC lipids to m/z 184.07 and smaller fragments with the NP-LDI compared with partial fragmentation in the GCIB SIMS experiment provide an indication as to the relative energetics of the ion formation processes. In contrast to MALDI, the SIMS technique usually does not need as much sample preparation. However, to improve the ionization ability of higher mass molecules, there are methods to treat the sample prior to the SIMS analysis such as organic matrices (matrix enhancement, ME-SIMS) or metals (metal assisted, MA-SIMS) coating . TFA has been commonly used as a component in MALDI matrix solution and also in desorption electrospray ionization (DESI) studies . Recently, it was shown that when using SIMS analysis (on mouse brain) or DHB sublimation, MALDI (on fly brain) sample modification with TFA vapor exposure is beneficial for the measurement of intact lipids since it helps to remove cholesterol in cholesterol-rich samples, and it might slightly improve the lipid signals by enhancing ionization [37, 40]. We applied the same method of TFA treatment to compare GCIB SIMS, NP-LDI, and MALDI with DHB analysis when examining positive ions. In our experiment on the mouse brain, TFA treatment results in no significant change in lipid intensities observed using DHB sublimation for MALDI. For NP-LDI analysis, sample modification with TFA increases the intensities of intact lipid ions in the range m/z 800–900 and additionally it produces new peaks above m/z 1000, which are not detected without the TFA modification (Fig. 3). In comparison, when the GCIB is used for SIMS, the peak intensities are enhanced significantly, especially for m/z >800 including the lipid region where NP-LDI produces the most peaks. As the peaks detected by NP-LDI are only observed in the white matter of the mouse brain sample, we hypothesize that the TFA removes cholesterol from the surface of the white matter allowing the other species to be measured with SIMS. Comparison of the peak at m/z 369 belonging to (cholesterol + H-H2O) between control and TFA-treated samples indicates that cholesterol content is diminished by applying TFA (ESM Fig. S5). This is consistent with the mechanism proposed by Angerer et al. previously . To highlight the differences between detected peaks with these MSI techniques, two peaks in the mass spectra from each method NP-LDI (m/z 832.66 and 850.67) and MALDI (m/z 772.52 and 826.57) were selected (four peaks in total) and their ion images compared with the same peaks in the Ar GCIB SIMS mass spectrum without any signal normalization (Fig. 4a, b). As shown above, in NP-LDI the intact lipids are only localized in the white matter, we see the sodium adduct of sphingolipid (C48H91NO8Na) at m/z 832.66 and sphingomyelin (18:1/24:1) at m/z 835.66. Sphingomyelins are the most abundant sphingolipids in mammalian cell membrane; they are the main components of the myelin sheath that acts as an isolation layer around the axons of myelinated neurons. Besides being components of cell membranes, sphingomyelins act as regulators for various cellular signaling processes such as cell growth, signal transduction, and apoptosis . In addition, they are abundant in high-density lipoproteins, and sphingomyelins affect protein conformation and can therefore regulate the activities of enzymes, receptors, and transporters . In the white and gray matter of human brain, the sphingomyelin content is about 7–8 % in each area, whereas in whole rat brain, the content is about 4 % . Previously, MALDI imaging of the mouse brain was used to show that different sphingomyelins specifically localize in the gray matter or white matter corresponding to the localization of ceramide synthase, which is the enzyme that catalyzes the synthesis of the precursor of sphingomyelins—ceramides. For example, the sphingomyelins (18:1/24:0) and (18:1/24:1) localize in the white myelin-rich matter, whereas sphingomyelin (18:1/18:0) distributes in the gray matter . The ion images show that the cerebroside (sodium adduct of C48H93NO9 at m/z 850.67) is observed by NP-LDI and is colocalized with the sphingomyelins (18:1/24:0) and (18:1/24:1) in the white matter (Fig. 4a). Cerebrosides are glycosphingolipids which are composed of a ceramide connected to a sugar unit . There are two groups of cerebrosides, which are the glucocerebrosides (glucosylceramides) and galatocerebrosides (galatosylceramides). Glucosylceramides are mainly found in the cytoplasmic surface of the cell membrane, skin, muscle, intestine, and kidney [55, 56], whereas galactosylceramides are typically present in the brain. Galactosylceramides are the abundant lipid components of the neuronal myelin sheath . Cerebrosides function as anticoagulant in the cardiovasculature and in the brain, and are important regulators for cell differentiation, apoptosis, and signal transduction, for example galactosylceramides affect the activities of Ca channels and cell morphology [58, 59]. Thus, the ability to measure these species with high spatial resolution and reasonable sensitivity is highly important. The ion images acquired by Au NP-LDI clearly demonstrate (without any data normalization) the distribution of detected lipids in the white matter with an enhanced contrast compared to MALDI with the same 20-μm pixel size using DHB sublimation which does not show any heterogeneity in the signal distribution in the ion images (Fig. 4a). Therefore, to provide clear ion images, data normalization (versus total ion counts) has been applied to MALDI with DHB as matrix, and the ion images have been compared to the NP-LDI images using the same normalization (normalized data images are shown in Fig. 4b). Comparing the ion images shows that in contrast to the NP-LDI, the distribution of lipids in the gray matter, for instance the potassium adduct of PC (32:0) [M + K]+ ion with m/z 772.52, is more distinctive in MALDI. Likewise, the ion image of m/z 734.56 indicates the distribution of protonated peak for PC (32:0) in the gray matter is also more distinct in comparison with the potassium adduct of this lipid species in LDI (ESM Fig. S6). For Ar GCIB SIMS, with the pixel size set to 20 μm for closer comparison with the MALDI and LDI data, the ion images of intact lipids without any data normalization clearly show the distribution of the analytes in both the gray, such as potassium adduct of PC (32:0) [M + K]+ ion, and white matter, such as potassium adducts of PC (36:1) [M + K]+, sphingolipid C48H91NO8 [M + Na]+, and cerebroside C48H93NO9 [M + Na]+ (Fig. 4a). Phosphatidylcholines belong to the glycerophospholipids group which are the main components of the cell membrane. The lamellar-shaped PCs mainly distribute in the outer leaflet of the bilayers of the cell membrane. PCs have been shown to play important roles in brain function and perturbation of PCs leads to severe brain disorders and injuries, for instance Alzheimer’s disease, ischemia, stroke, and schizophrenia [60, 61]. In the rat brain, different PCs have been observed in different regions depending on the length and number of double bonds of fatty acid chains. For example, PC (32:0) at m/z 734 is predominantly localized in the gray matter of the rat brain, whereas PC (36:1) at m/z 788 is distributed in both gray and white matter [62, 63]. This correlates to our results, which show that potassium adduct PC (32:0) [M + K]+ is localized in the gray matter. Utilizing the 40 kV Ar GCIB for biological imaging provides benefits including higher secondary ion signal for high molecular weight species which is beneficial for high spatial resolution imaging of intact molecular ions such as lipids. To demonstrate this point, we acquired an image of a TFA-modified mouse brain section using GCIB SIMS with smaller beam sizes. Images of intact lipids distributed in the white and gray matter are shown with pixel sizes of 12 and 3 μm in Fig. 5 (a and b, respectively). This is a promising advantage of using GCIB SIMS to perform high spatial resolution (approximately 4 μm) mapping of high mass intact lipids such as sphingomyelins, phosphatidylcholines and cerebrosides. NP-LDI and SIMS allow the detection of further lipid species in the negative ion mode. There are also several methods that have been reported for negative ion lipid analysis including MALDI using organic matrixes such as α-cyano-4 hydroxycinnamic acid (CHCA), 9-aminoacridine, or 2,5-DHB [64, 65]. Figure 6 shows mass spectra for NP-LDI and high-energy Ar cluster SIMS in the negative ion mode containing intact lipid peaks in the range m/z 700–925. The spectrum for the high-energy Ar cluster SIMS shows that lipids in the negative ion mode can be detected similarly to those detected by applying organic matrix (DHB) with washing procedures (beneficial for peaks enhancement) in MALDI reported in previous studies . Furthermore, in comparison to NP-LDI (Fig. 6), it is obvious that a lot more peaks are again observed in the intact lipid molecular range by Ar GCIB SIMS. Putative peak assignments, based on literature and database assignments, for mouse brain comparing intact molecular ions and lipid species identified by GCIB SIMS, NP-LDI, and MALDI in positive and negative ion modes are given in Tables 1 and 2. The peaks identified by each MSI technique are shown by a plus sign (+). The high-energy Ar4000 + GCIB can be applied to identify many of the lipid species observed with MALDI, but additionally it can be used to detect and image molecular species, for instance PC (34:0) [M + H]+, phosphatidylinositol PI (30:1) [M + H]+, or cerebroside C40H76NO9 [M + H]+, in the range of m/z 700–800 not easily observed with MALDI. A considerable number of molecular ion adduct peaks in the NP-LDI spectrum suggest an ability for the Au nanoparticles to generate cationized ions. Some lipid species in the brain such as sphingolipid C48H91NO8 [M + Na]+, sphingomyelin (18:1/24:1) [M + K]+, or cerebroside C48H93NO9 [M + Na]+ are dominantly identified and imaged by NP-LDI, whereas there are also sodium-cationized pseudo-molecular ion peaks produced by NP-LDI such as cerebroside C46H89NO9 [M + Na]+ (m/z 822.64) that are detected with their pronated or molecular ion peaks in the Ar GCIB SIMS and MALDI spectra. The NP-LDI dominant peaks are enhanced clearly by analysis with the GCIB SIMS after TFA modification of the sample. Moreover, in the negative ion mode, Ar GCIB SIMS also shows the capability of detecting a wider range of lipids with good signal to noise compared with NP-LDI. Besides lipid compounds including sphingolipids (acidic glycosphingolipids and sulfatides) and phospholipids that are similarly identified by NP-LDI and SIMS, other intact lipid peaks in the range m/z 700–875 are only observed using the Ar GCIB SIMS analysis (detailed peaks have been assigned in a previous study ). In fact, these results indicate that it is possible to use Ar GCIB SIMS imaging to analyze the wide range of intact lipid species detected in the mass range to about 900 m/z by both NP-LDI and MALDI from mouse brain samples. GCIB SIMS has been compared to both NP-LDI and MALDI mass spectrometric imaging techniques in terms of their ability to analyze and image intact lipids in mouse brain tissue. NP-LDI gives high signals in the mass range m/z >800 and groups of intact lipids localized in the white matter are selectively detected, whereas MALDI shows high sensitivity for phosphatidylcholine lipids in the mass range m/z <800. NP-LDI exhibits superior potential for ion imaging of the lipid species specifically localized in the white matter compared to MALDI with conventional organic matrix deposition. In MALDI, there is a need for data normalization to obtain more distinctive ion images. However, SIMS with a 40 keV Ar4000 + GCIB is capable of detecting intact lipid compounds present in both the white and gray matter areas of the mouse brain sample in both positive and negative ion modes similar to the lipid analysis by MALDI, and furthermore in positive ion mode it is possible to detect more lipid species in the m/z 700–900 range. In addition, the peaks detected by NP-LDI were significantly enhanced in the GCIB SIMS spectrum following TFA exposure. Ar GCIB SIMS provides the ability to detect a wide range of molecular lipids including those detected by MALDI and NP-LDI with a beam that is readily focusable to sub-5 μm which makes it an encouraging technique in biochemical imaging and lipidomics. The authors greatly acknowledge the Bioanalytical Center, the Swedish research council (VR), ERC, Wallenberg Foundation, and the USA National Institute of health (NIH) for the support. We thank Tina B. Angerer for acquiring the SIMS data and Masoumeh Dowlatshahi Pour for DHB sublimation sample preparation. The authors claim that there are no conflicts of interest. The brain samples used in this study were from excess tissue of mouse brains that were used in a separate study, and no animals were sacrificed for this work. The original brain samples were supplied by Oxford University, and all institutional agreements for this original work were obtained.